The Adventures of Box Guy is a 2D platformer in which players assume the role of Box Guy, everyone's favourite cube-based protagonist. 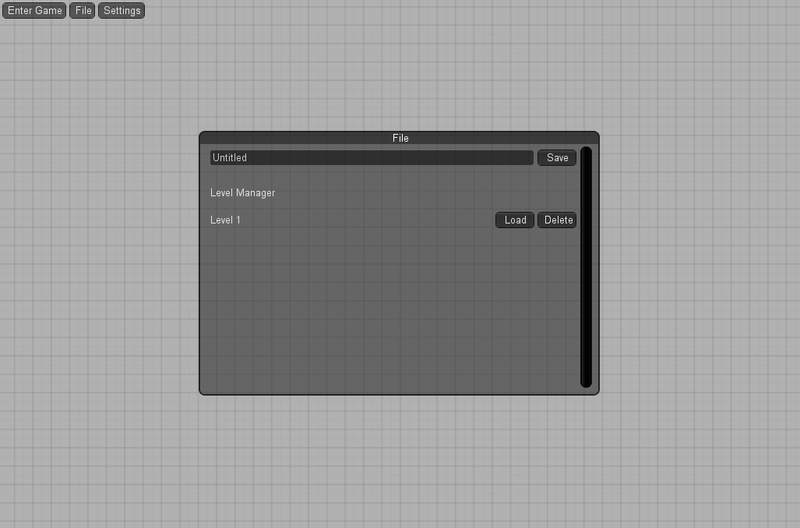 The game will be user-centric; shipping with a level editor from day one, players can create and share their own custom levels. The game will be playable on a range of platforms, including Windows, Mac, iOS and Android, and as if those platforms alone weren't enough, the multiplayer modes are totally cross-platform. Need to convince your PC-owning friend that you can walljump your way through the campaign faster than them, even on your iPhone? You can do that. It's been a while, but I'm finally back to working on Box Guy, at least part-time. For those of you who aren't familiar with the project, have an overview: The Adventures of Box Guy, if you hadn't guessed already, takes places in a world composed of cubes. I'm trying to see just how much can be achieved in a game with literally no art whatsoever. Box Guy can run, jump and bounce off walls in order to get to his goal. Woah, there are... cubes! Let's go over these one at a time. - Grey cubes are geometry. The player can run along these, bounce off them, whatever. They make up the physical structure of a level, and have editable size properties. - The blue cube is the player spawn point. It defines where the player starts off when this level is played. - The green cubes are checkpoints. If the player dies, they will be respawned at the last checkpoint they entered, or the spawnpoint if they've yet to enter one. 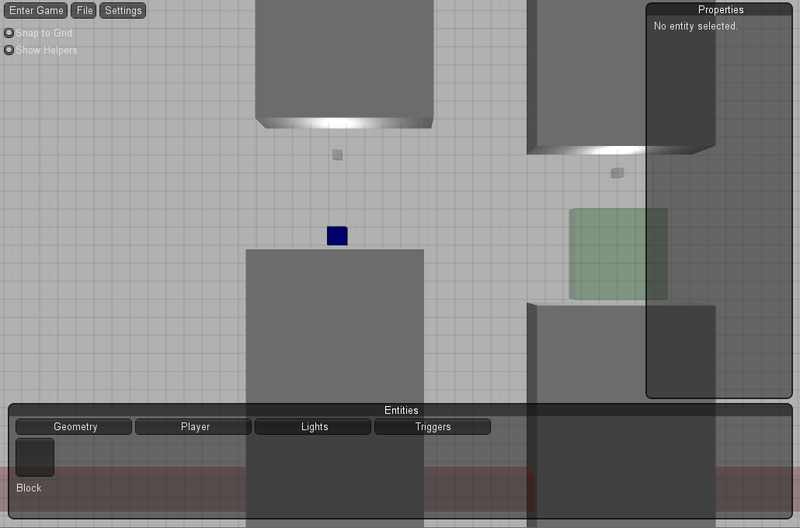 - The small grey cubes are point lights. They have radius and intensity properties that can be used to define how bright and how large the area of the light is. 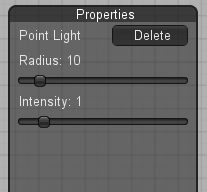 To place a new entity in the scene, simply left-click on the appropriate button from the entity bar and, keeping the mouse button pressed, drag the object to where you want it. Simple. 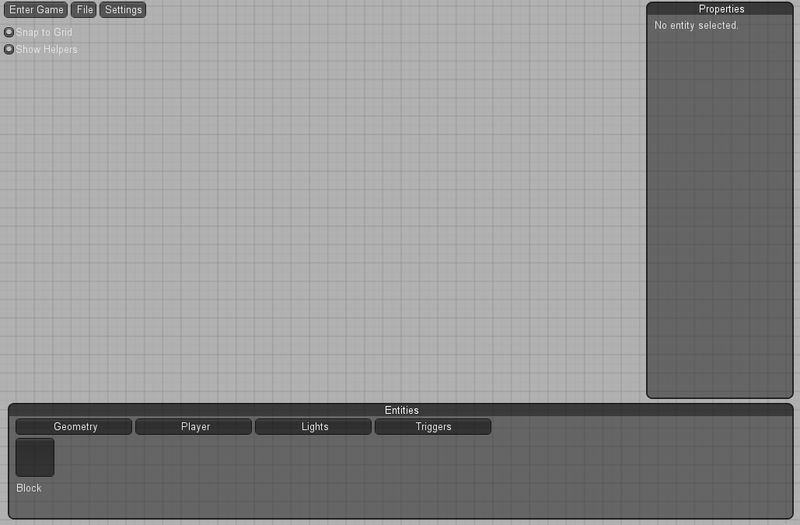 The last thing I should add is that the entire editor can be used even whilst testing the game itself. Need to change the height of a wall, add an extra checkpoint, or just make your latest trap even more evil? You can do that without exiting game mode. I could carry on describing these features for quite some time, but I think it'd be more fun to just let you test the editor! A web-based demo is available; please note that this requires the Unity webplayer to be installed. The game itself is currently less than 500kb so it should load quickly even on less able connections. If you have any feedback, just leave a comment below, send me a message on Twitter, or leave a message on Ink Studios' Facebook page. We don't bite. Much. Hi, looks very nice. You use unity pro ? Maybe you check my project aswell..
did you use just unity or modeling programs as well?